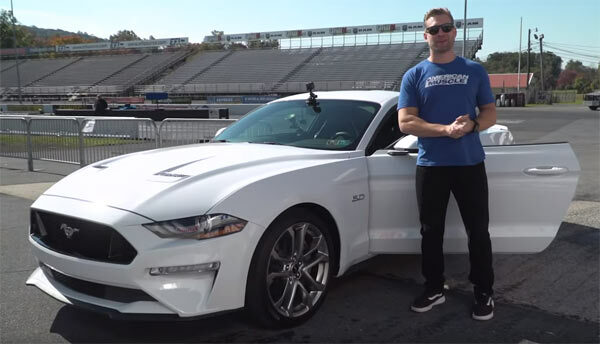 AmericanMuscle’s Justin Dugan recently visited Maple Grove Raceway with his new 2019 Mustang GT to run a series of baby-seat equipped, full-weight passes. In this video, Justin tests 4 different near-stock setups to compare times as he gets used to the feel of his new Oxford White ’19 GT. These setups include, bone-stock (Drag Mode), Stock + Drag Radials, Lund Racing 93 Octane/Flex Fuel Tune, and Lund Racing E85 Tune via Lund’s nGauge.